A cag designed for white water kayaking, featuring a double neck seal, wrist seals and a waist seal. Peak's best selling white water cag, perfect for river/creek and surf use. 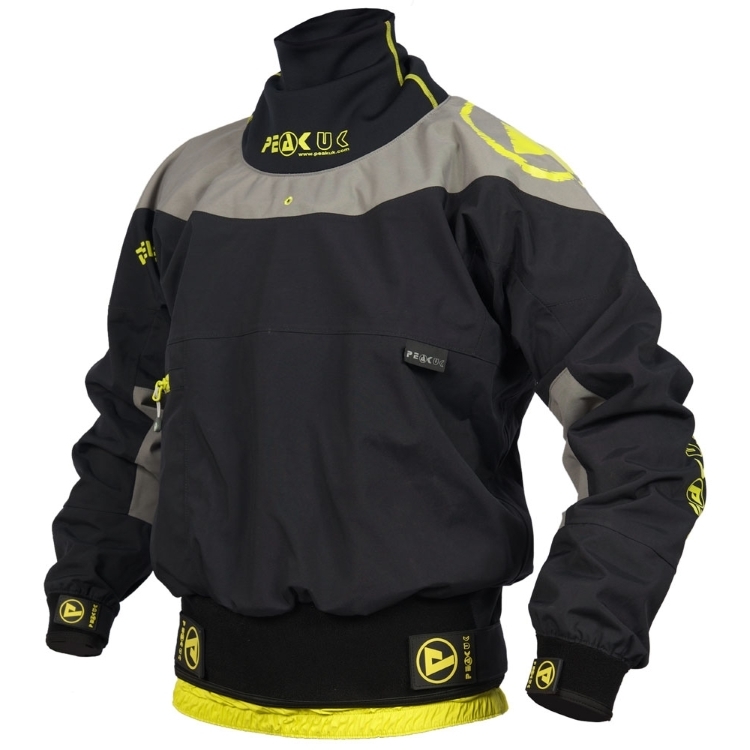 The Deluxe jacket keeps you dry whilst you concentrate on paddling hard and making the most of your session. A double sealed neck has a latex inner with a outer neoprene cone. The wrists have latex seals and an adjustable AquaOut waist seal features an inner grippy waist layer to pair up with a spraydeck. 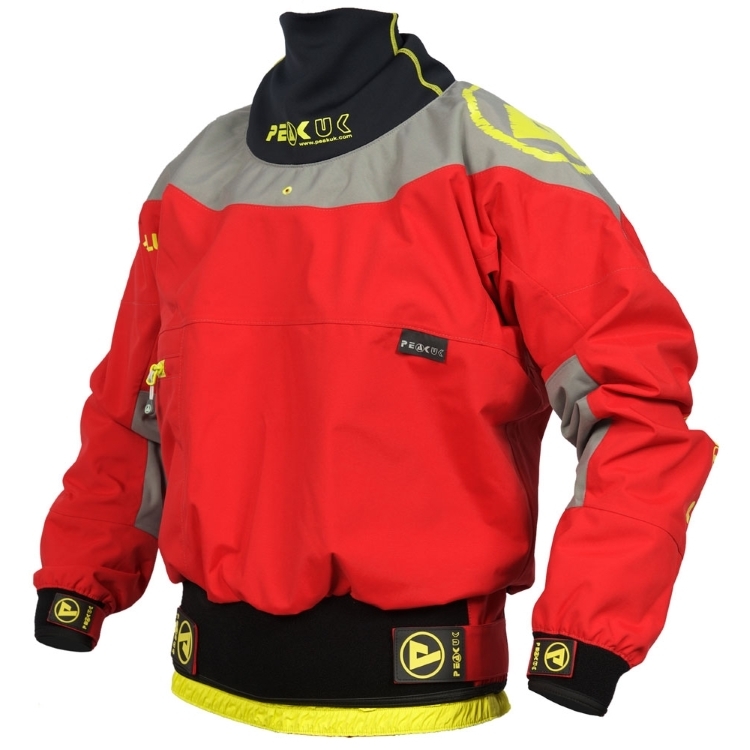 The Deluxe jacket is constructed from 3-layer mid-heavy weight material offering a good compromise between flexibility and durability, whilst being waterproof. Reinforecment is found at the high wear areas on the elbows and shoulders. 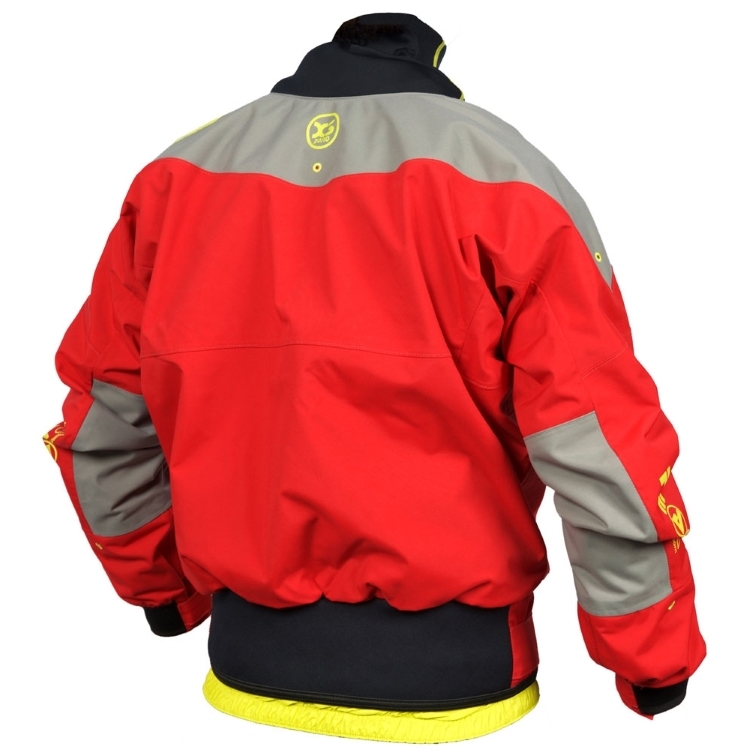 This jacket also has an easy-access zippered pocket on the right-hand side of the chest. A great cag for all white water kayaking uses. We offer a delivery service for the Peak Deluxe throughout the UK & Ireland to home and work addresses. We will endeavour to despatch all orders for delivery on the next working day. Orders placed on a Friday will be dispatched the following week. Buy a Peak Deluxe online from our website and collect from our shop at Lee Mill, Plymouth, Devon or you can collect from any branch within the Canoe Shops Group. There is no cost associated with this.